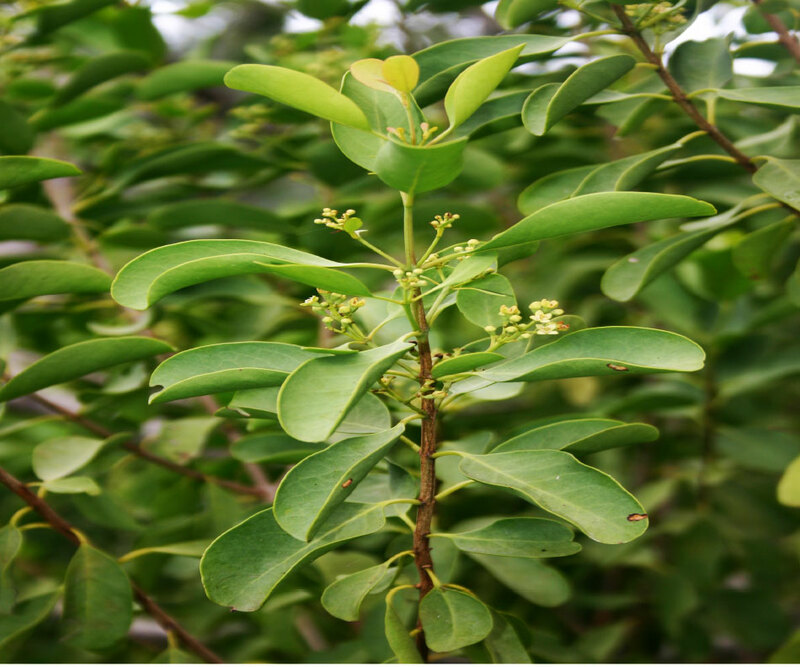 This Sandalwood is endemic to Hawaii and found throughout the state. Grows to a height of 30 feet and can get 10 feet in width. Fragrant flowers and fragrant heart wood is what this tree was prized for. This type of Sandalwood grows from sea level to an elevation of 4000 ft. The Hawaiian name lāʻau ʻala literally means “sweet wood” or “fragrant wood.” Though early Hawaiians may not have used sandalwood extensively, it was still valued. Besides used as firewood, the wood was sometimes used to make ʻūkēkē or musical bow. The fragrant heartwood and bark of ʻiliahialoʻe was pounded to scent the smell of new kapa (tapa), and when added with coconut oil the would water proof the material. One older source (Charles Gaudichaud,1819) states that Hawaiians “used all fragrant plants, all flowers and even colored fruits” for lei making. The red or yellow were indicative of divine and cheifly rank; the purple flowers and fruit, or with fragrance, were associated with divinety. Because of their long-standing place in oral tradition, the leaves, new leaves (liko) and flowers of ʻiliahialoʻe were likely used for lei making by early Hawaiians, even though there are no written sources.